Biomedical science is a well-established but nonetheless dynamic and rapidly evolving scientific discipline aimed at improving our understanding of human health and disease. This course utilizes a multidisciplinary approach in order to provide you with knowledge of workings of human body at molecular, cellular, organ and systems level. It covers the key aspects and principles of biochemistry, molecular biology, immunology, physiology and pathophysiology, developmental biology, and pharmacology and toxicology. The course has a strong practical focus and it will provide you with a wide range of practical and analytical skills relevant to a career in biomedical science and wider. Our aim is to help you progress to an employment-ready graduate and hence the course is designed to also equip you with a number of transferable skills that are so highly valued in the current, ever-changing, employment market. The course benefits from a close working relationship with Ipswich Hospital and is taught by an international team of research-active academics. Both of these ensure that the course is relevant to your future employment, is contemporary and at the forefront of science. Study of the biological sciences is often supported by a range of techniques developed through the use of physics and chemistry. Furthermore, there is much evidence of interaction between the physical and chemical sciences with that of biology, much of which would benefit from a greater fundamental understanding. Therefore this module is intended to give students a broad understanding of some of the chemical and physical principles that underpin much of biology. This module will enable students to develop the knowledge and practical skills that will prepare them for undergraduate studies in biological sciences and related subjects. This module considers the structure and function of major biological molecules and biochemical systems. The purpose of this module is to develop student’s skills in written and oral communication and develop the study skills needed for undergraduate work. The module will explore essay writing, academic referencing, avoiding plagiarism, organising, planning and editing written work, and improving technical writing style. Students will also consider time management, meeting deadlines, developing personal awareness and confidence by class presentations. The module will also utilise on-line delivery of material via the virtual learning environment thus providing an impetus to cultivate IT skills. This module will enable students to develop the knowledge and skills that will prepare them for undergraduate studies in Nutrition and Human Health, and Biosciences. The module initially explores what is meant by health and focuses on the role of food, nutrition and exercise in health. It provides students with knowledge of the various factors which influence human health and disease. During the module, students will use examples of disease-causing bacteria, viruses, etc., and examine how they influence health. Mathematics is the language of science. The study of any science requires some degree of mathematical understanding. Mathematics is not necessarily difficult, but requires a supportive learning environment where key concepts are demystified and applied in a logical and orderly fashion. Aimed at those without an ‘A-Level’ Mathematics and/or 'return to learning' students, this module aims to develop the students’ skills and increase their confidence in using mathematics in general; and in particular in the application of mathematics to health and life sciences. This module will enable students to develop the knowledge and practical skills that will prepare them for undergraduate studies in biological sciences. This module considers the structure and function of major physiological systems within the human body. Topics covered include the digestive, cardiovascular, respiratory, excretory, endocrine, nervous, musculo-skeletal and reproductive systems, and basic genetics. Theory will be supported by practical laboratory work. DNA is arguably the most important macromolecule in life and this module is designed to provide a solid foundation of knowledge on which students can build throughout the Bioscience degree programme. Beginning with the fundamental concepts of DNA and it’s role in heredity and the genetic code, the module will build up through expression of genotype to phenotype and the control of gene expression. A thorough understanding of human physiology and maintenance of homeostasis are key facets in a range of scientific disciplines. In this module, students will study the way in which different cells, tissues, organs and organ systems contribute to homeostasis from a theoretical perspective. Cells are the basic unit of all living organisms. In this module, students will examine the structure and function of cells, and the signals that control eukaryotic cell division, adhesion, migration, and programmed cell death. Students will analyse how cells contribute to animal physiology and disease, and be introduced to the techniques used to study cells in the laboratory. This module will provide students with the core skills required to carry out basic scientific procedures and communicate their research in an appropriate scientific format. The module is based on a series of practical sessions and is designed to develop the skills required for subsequent advanced modules on the course. This module prepares students for further study and employment by providing an understanding of what science is and how it works. It introduces students to the principles of scientific research and the planning and design of experiments. Students will learn how to effectively analyse literature and communicate science in a variety of methods. The module aims to set an introduction to some key properties and applications of selected microbial organisms. Students will learn about the structural, biological and molecular characteristics of major microorganisms, to include bacteria, viruses, fungi and protists. In addition, the significance of microbes in health and disease will be investigated, also with the support of current research literature. Effective scientists need to understand how experimentation, qualitative and quantitative analysis drives science forward via the process of attempted falsification and how this is quantified and presented. This module prepares students for further study and employment by providing an understanding of inferential statistical analysis of scientific data. It will enable students to understand, interpret and apply most of the statistical techniques that they will see in published articles and allow them to emulate such analysis in their own work. This module is designed to review the nature of and causation of diseases, by considering environmental, genetic, and biologic factors and link the characteristics of disease to the signs and symptoms utilised in diagnosis. The module will also give the students the opportunity to investigate the positive and negative effects of diet on health and disease. This module has been conceived to provide students with the opportunity to enhance their employability skills and experience through undertaking a 100 hour period of work-based experience in a field related to their degree programme. This module can also be undertaken by students who are already in relevant employment, thereby enhancing their career development. This module introduces students to the principles of nucleic acids manipulation and cloning. The module will include a thorough background on DNA handling, manipulation and analysis. The module will then detail the standard techniques by which DNA can be differently inserted into prokaryotic and eukaryotic cells, and its expression monitored. Classic techniques will be presented together with the more advanced, cutting-edge technologies and approaches. In this module students will explore the cellular basis of infection via pathogens and the immunological defence system the body deploys in order to prevent the development of infectious disease. The module will deal with the structure and function of the human immune system in terms of the innate and adaptive immune responses focusing on the cells and molecules involved. The dissertation will provide an opportunity for individuals to develop an area of scientific interest arising from either course-based or work-based experience. The focus of the dissertation will be a research-based study, central to which will be some form of hypothesis testing or problem solving. It will enable students to utilise practical, intellectual and decision making skills in novel situations. Students will explore the numerous career paths available for life science graduates, will gain experience of graduate recruitment processes, and will critically analyse their own skills and capabilities to develop, reflect and improve their professional career prospects. Students will be introduced to elements of bioentrepreneurship and ethics. In particular, areas such as outlining a business plan, patent application, intellectual property, clinical trials and policy making. This module is intended to allow the student to draw together a wide range of topics covered at levels 4 and 5 into the applied area of pharmacology and toxicology. This module utilizes understanding and application of biochemistry, molecular biology, cell biology, genetics and physiology to solve problems. The interdisciplinary nature of the field provides an ideal opportunity for students to contextualise their studies within an important progressive science. The module will examine nutrition as it relates to the prevention and treatment of disease and deals with the nutritional aspects of diseases and clinical disorders by integrating students' existing knowledge of physiology, biochemistry and food science. In this module students will also consider the nutritional requirements of humans throughout the lifespan; the changing physiological status and subsequent changes in nutritional requirements will be studied along with a critical appraisal of how this is met with respect to diet, sociological status, geography and education. This module is designed to give students an overview of developmental processes that lead to formation of a multicellular organism from a single zygote. The module will consider the cellular and molecular events which underpin development, including cell specification and cell differentiation. It will look at the mechanisms that lead to precise arrangement of the different cell types within multicellular organisms and animals. The module will begin by presenting different types of stem cells and their properties, then it will outline various cell-based and tissue engineering approaches to regenerate damaged tissues. The module the students will be challenged to critically evaluate the potential of tissues of being rebuilt and will appraise current and developing techniques in the field. We anticipate you may wish to progress into laboratory-based careers in clinical or technical roles within NHS setting. However, you will also be well placed to secure jobs as researchers working in universities, pharmaceutical and bioscience companies and institutes. The transferable skills developed during the course will equip you for a wide range of careers outside the laboratory such as within scientific publication, quality control, scientific sales as well as local and central government health authorities. Additionally, the course prepares you for higher-level study such as PGCE (e.g. science teacher training), Masters degree or PhD. International tuition fee: £13,330 p.a.. Minimum C in GCSE Maths (or equivalent). 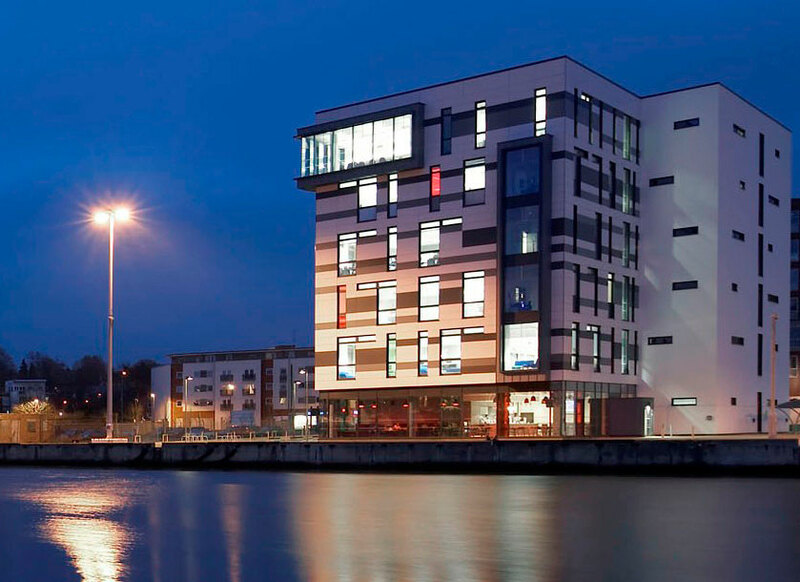 Teaching for this course is undertaken in the purpose-built James Hehir Building, which has modern teaching and research laboratory facilities, Waterfront Building, and the IT facilities and classrooms in the new Atrium building. All three buildings are placed in close proximity to each other in the beautiful Ipswich Neptune Marina. Our state-of-art laboratory facilities located in the James Hehir Building facilitate high quality practical skills teaching. 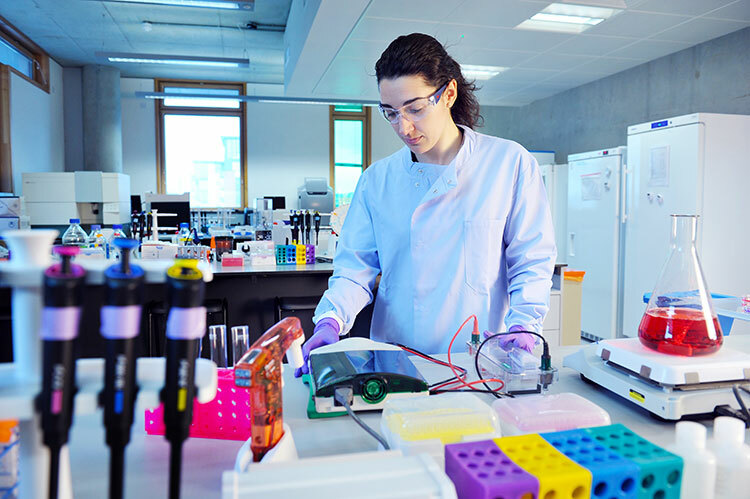 As well as a standard laboratory equipment, there is a range of key specialist equipment to support the practical elements of the modules including cell and tissue culture facilities, imaging facilities (light and fluorescent microscopes), 3D productivity suite, and molecular biology facilities.